This add-on can be used as an addition to Quick Enchanter or an alternative for non-enchanters. 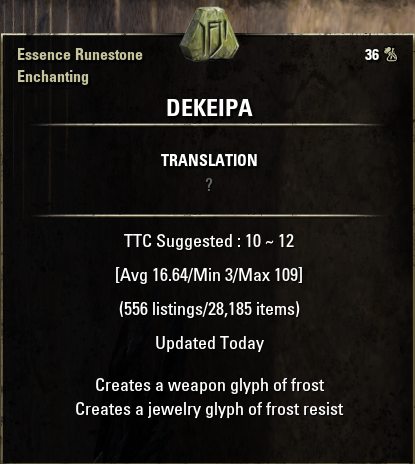 You can choose whether Quick Enchanter or Rune Info shows the level of glyphs by enabling or disabling the setting in Quick Enchanter. Für Essenzrunen den Typ der entsprechenden Glyphe, bzw. die Typen der positiven und negativen Macht. Das Addon kann entweder als Ergänzung zu Quick Enchanter oder als Alternative für Nicht-Verzauberer verwendet werden. 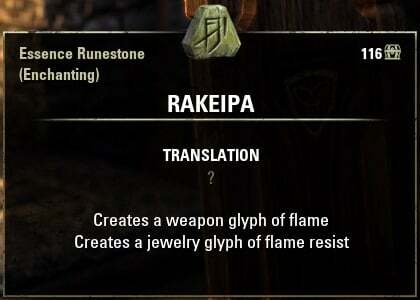 Ihr könnt wählen, ob Quick Enchanter oder Rune Info die Stufe der Glyphe anzeigen soll, indem ihr die entsprechende Einstellung bei Quick Enchanter ein- bzw. ausschaltet. - Russian translation. Thanks to @KiriX. - Fixed tooltip issue in gamepad mode. Thanks to @Daeymon. - Removed old API 100014 code. - settings to make info for unknown runes optional. Requested by @uladz. * I have tested it, but I do not play in gamepad mode. - Corrected french translation: Thanks to Wandamey. 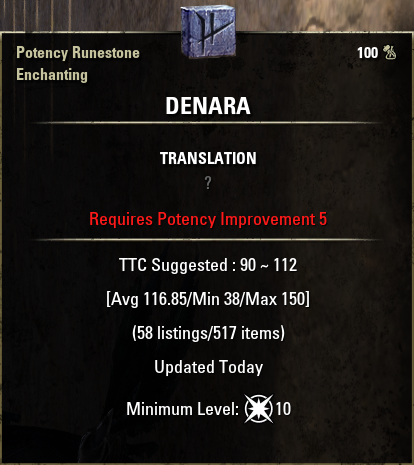 - Better text for single level potency runes. What libs are required for this addon? I installed it but it says dependency missing? Did you installed it while the client as running? All required libs are embedded as sub-folders. And their client version numbers are valid for the current live version. Last edited by Ezmaraldaa : 04/06/19 at 03:39 PM. Hi, I've noticed since today, the tooltips are not showing in the correct spot anymore. They used to be below Translation, now they're below TTC. Technically there is no correct spot. I do not know how this could be "fixed". Hi, sorry if you feel you're having deja vu because I have also posted on PotionMaker's page, but there's a library inside this addon that's reporting out of date, it's LibHarvensAddonSettings. Do you know how to fix this or where to get it fixed? @MoonDancer: No problem. As I am not the author of that lib, I cannot change a number in a txt file for you. You could simply allow addons of other client versions. Can you please fix capitalization on the addon? Which language and for example? Hey Votan, thank you for the lovely addon! 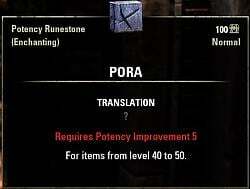 Would it be possible to add the tier of created glyph's name to Potency runestones? 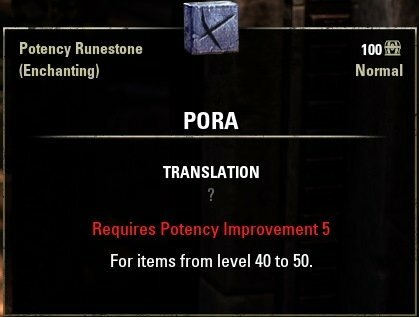 For example, a Level 30 runestone like Edora or Pojode always create "Moderate Glyph of X". So on the tooltip, it could say "Minimum Level: 30 (Moderate)". Well, requested some time before and still not easy/a lot effort for such small addition. See comments. Last edited by Circuitous : 10/27/16 at 04:20 AM. Got 2 menu settings now in 1.2.5 please fix ! Last edited by votan : 03/21/16 at 03:01 AM. Can you make resulting glyth tooltips for unknow essence runes optional? Kind of breaks my role-playing. 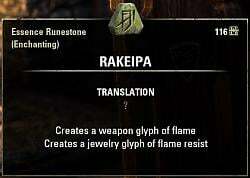 I know exact translation of every rune without even discovering it . Thank you for adding the options in 1.2.5! Much appreciated!